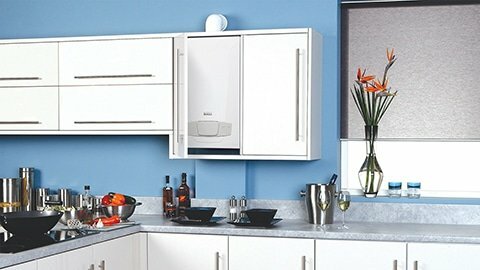 When you are choosing to have any fittings fitted, including things such as taps, showers and Boilers you need to understand the water pressure system, as if you don’t, then you may find your experience in the bathroom hampered by slow taps or the hot and cold running at different flow rates. The water pressure system in your home is easy enough to deduct, if you know what you’re looking at, with some having a boiler and a water storage tank, with others only having one or in a different combination! In this case, you have a high pressure unvented water system, and a system boiler with the water being stored at mains pressure in a strengthened hot water cylinder. It will also likely be in an airing cupboard. In a set up like this, you will have a wide set of options to choose from when it comes to showers and taps. In this case, you have a low water pressure system, with your hot water cylinder in your airing cupboard. These are known as gravity fed systems, and will require showers and taps that are designed to work with systems like this, and will require knowing the exact water pressure to be able to make the best choice for your bathroom, or even fit a pump. If you have a combination boiler, this means that the pressure system in your home is a high mains pressure water system, where your boiler will be wall mounted and more than likely located in the kitchen, and you will not have either a hot or cold water storage tank or cylinder. With this type of water pressure system you have a lot of flexibility with choosing showers and taps. Now you know the system, what’s next? Now you understand the water pressure system in your house, you have what you need to be able to find the right parts for the job, or alternatively, give that information to a local plumber like myself who will then be able to guide you further and even install that new shower for you! Getting in touch couldn’t be easier either! Just give me a call on 01255 722 542 or send me an email on info@heatingandplumbers.com.